Over 300 members of the Wake Forest Class of 2018 made an enduring commitment to sustainability by signing the Green Graduation pledge, an opportunity that over 100 other colleges and universities offer their graduates. I pledge to take into account the social and environmental consequences of any future endeavors and to work to improve the sustainability of the communities in which I work, live and play. 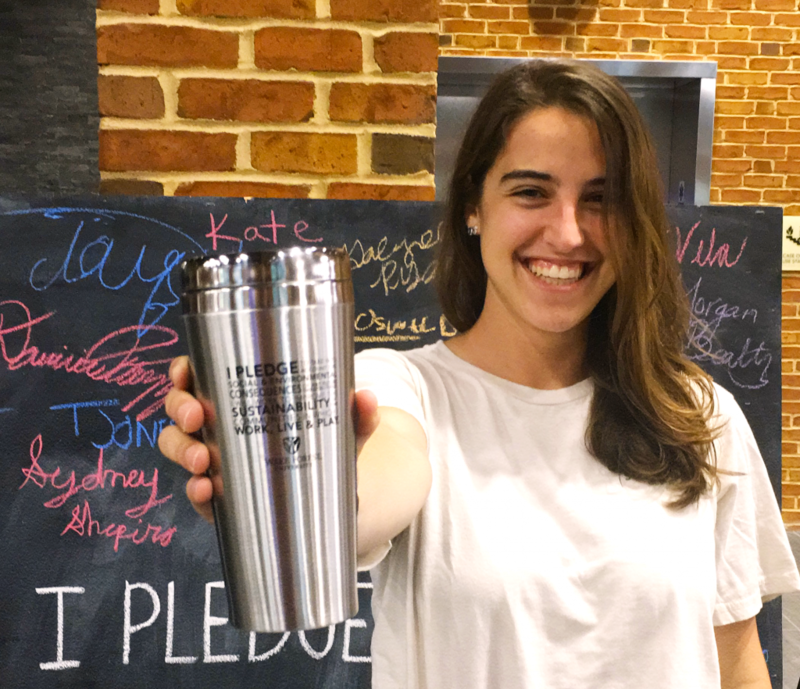 This is the seventh year that Wake Forest graduates have participated in the nationwide pledge movement. 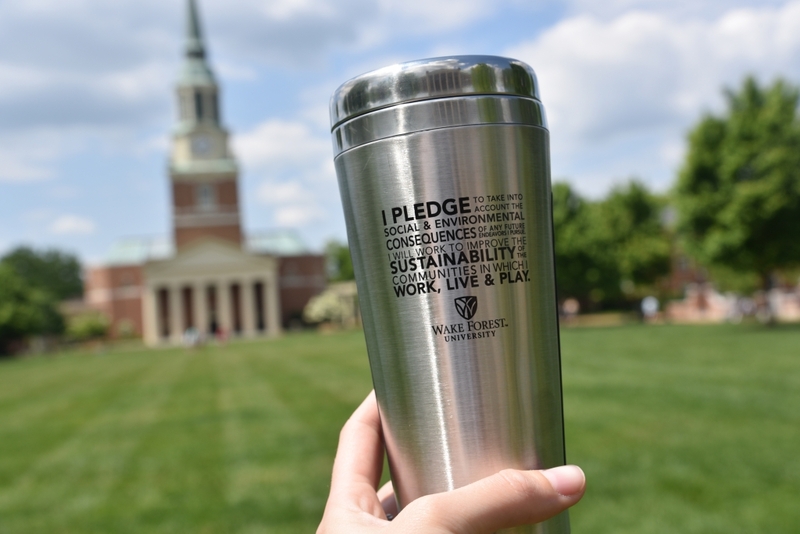 Graduates who missed the initial opportunity to commit can come by the Office of Sustainability during our Homecoming reception (November 3) in the fall to sign the pledge and/or grab a reusable mug.